Dreams are universal. We all dream. It’s the one thing we have in common with the entire human race and all mammals, says dream expert and best-selling author Rose Inserra. Dreaming is an important physiological function that gives our minds a break from the every day and our bodies time to rest and recover, says Inserra. 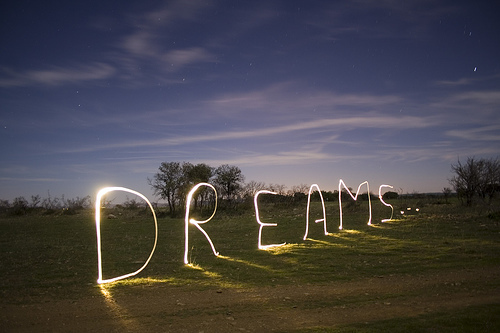 Dreams carry many messages from our subconscious. In her latest book, Dreams, What Your Subconscious Wants To Tell You, Inserra offers a comprehensive guide on how to recall dreams, interpret the symbols and gain insight into what is happening in your waking life. The bathroom is our most private room in the house where we take care of our bodies — we cleanse, relax, pamper and make ourselves attractive. It’s also a place of releasing and disposing of our bodily functions and so if there is a problem with the bathroom/toilet in your dream, it would indicate that you are not processing your feelings or are not having time out for yourself. Being unable to find a toilet or not having privacy highlights your embarrassment and vulnerability. You may be finding it difficult to express your needs around some real-life issues. At a practical level this dream reflects anxiety about appearance and how others perceive us. Teeth are a symbol of youth and strength. Bad teeth or lack of teeth are a sure sign of ageing. Are you afraid of being found unattractive? It can also indicate a loss of power. It’s no coincidence that our most vulnerable are the toothless — babies and older people. Dreaming your teeth are falling out suggests a loss of power. Spiders weave intricate webs to catch unsuspecting prey, and dreaming about spiders may indicate you feel that you are being manipulated or drawn into a web of intrigue or suspicion. If you are genuinely afraid of spiders, dreaming may be a projection of your fears, possibly triggered by something that is making you scared in real life. Are there conflicts going ­on around you that you can’t control? Traditionally spiders are connected with creativity as weavers of webs (Arachne in Ancient Greek mythology was a master weaver and we have the word arachnid), and with powerful female and mother figures. The Spider Woman, sometimes referred to as the Spider Grandmother, is portrayed in Native American myth as the Mother Of All Life. She sits in the middle of the universe spinning her web, connecting all living life to each other. The dream is encouraging you to search your heart and reconnect with your own creativity and then share that with others.